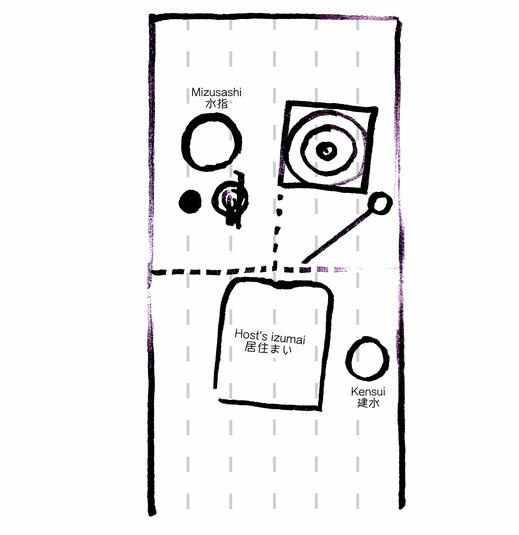 What's Involved in Chanoyu (tea ceremony)? 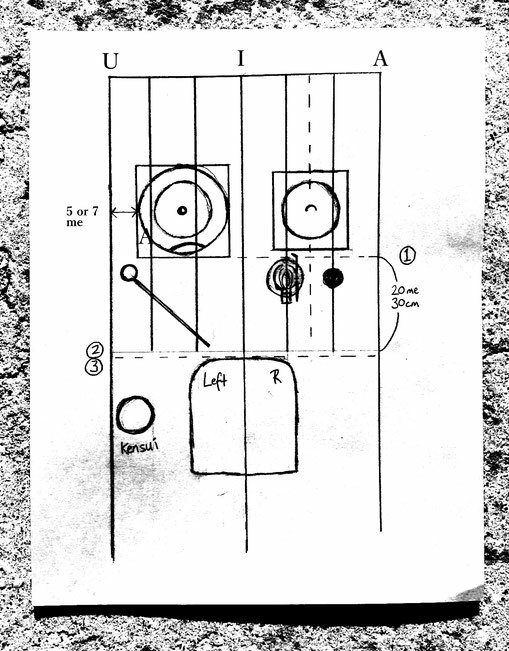 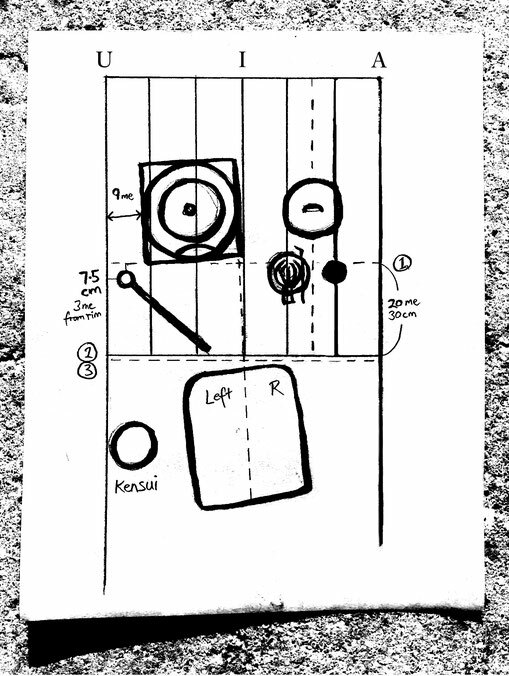 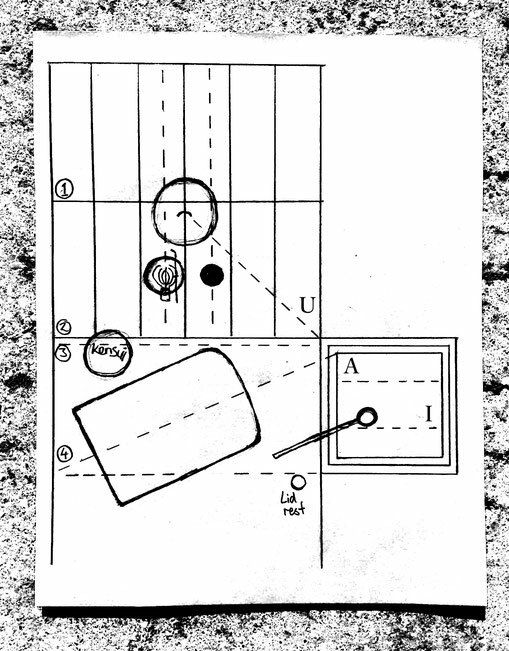 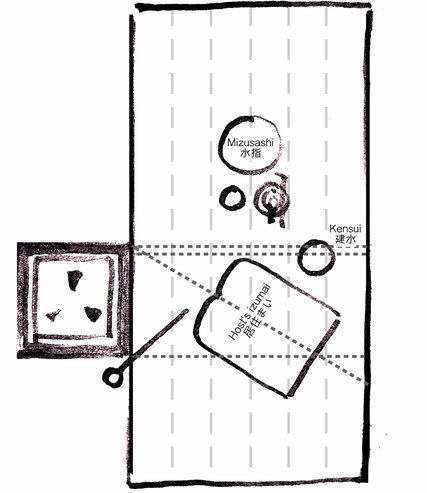 Kanewari = layout and positioning of utensils and the body according to yin yang theory. 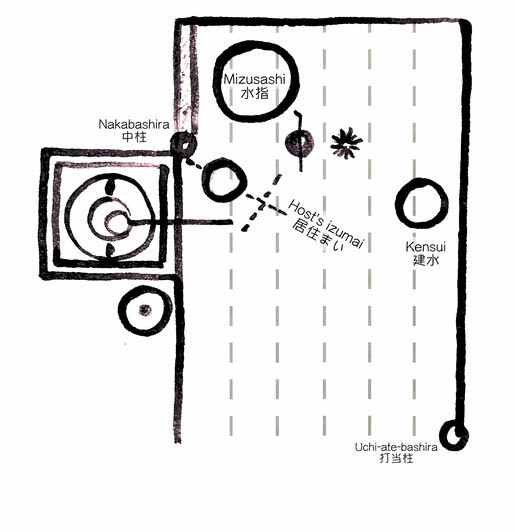 At the top of the tatami usually lies a wooden board called a ‘mukō-ita’. 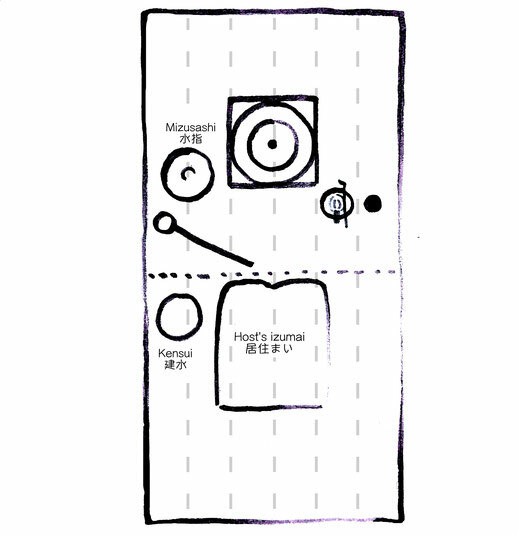 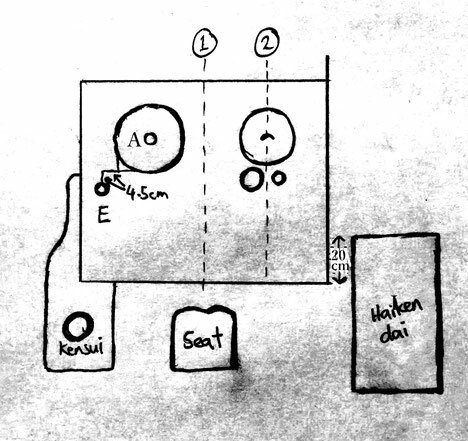 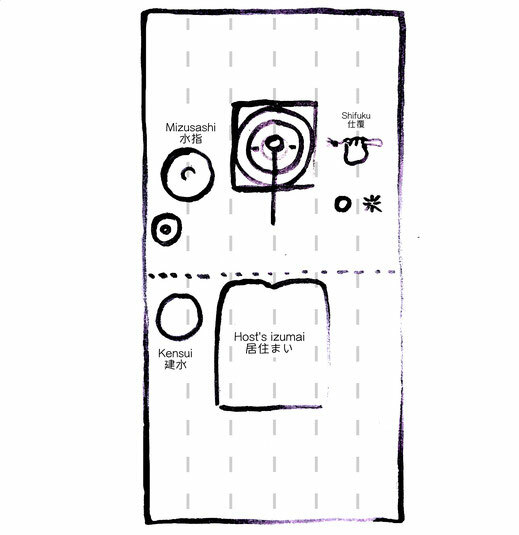 In between the mukō-ita and the hearth frame is a further small board called a ‘ko-ita’. 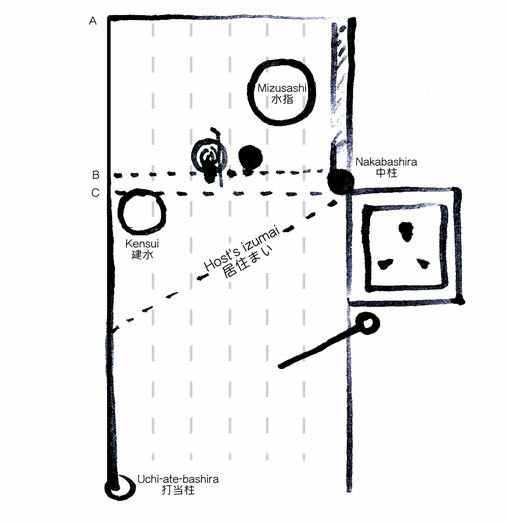 During yobanashi night-time tea gatherings, the teshoku candle holder is placed on the mukō-ita. 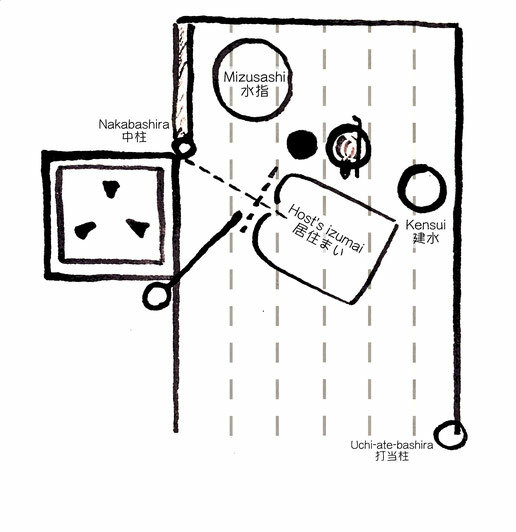 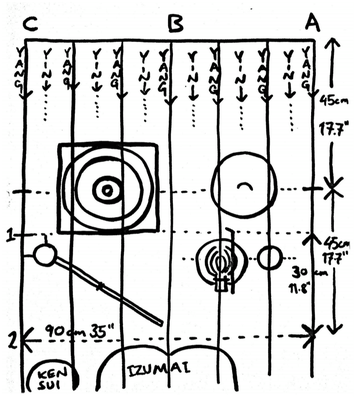 The mizusashi is placed in line with the kettle lugs (kan-tsuki-dōri) on the guest-side of the tatami (kyaku-tsuki). 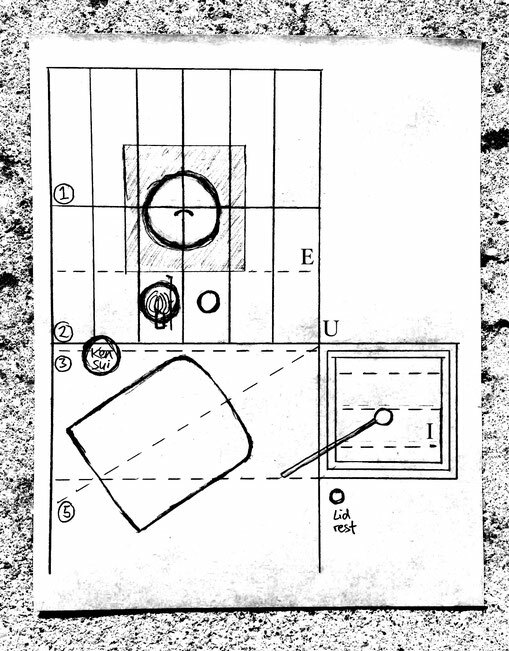 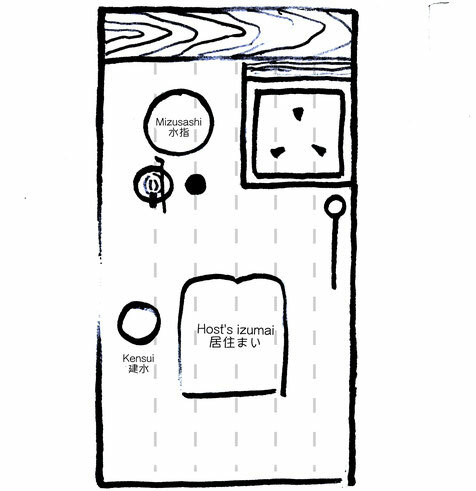 The izumai (formal sitting position for the temae) is angled slightly towards the bottom right corner of the hearth frame (ro-buchi). 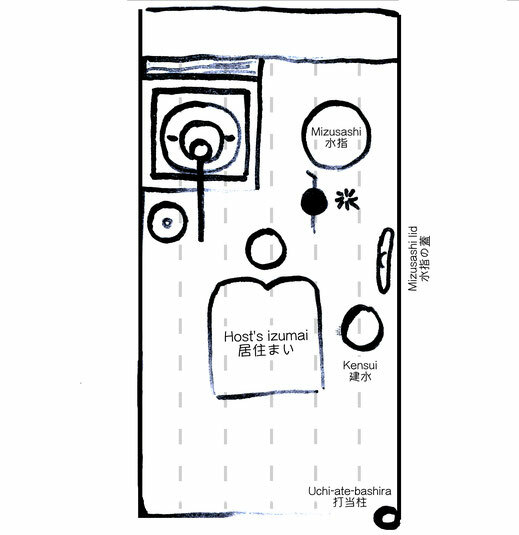 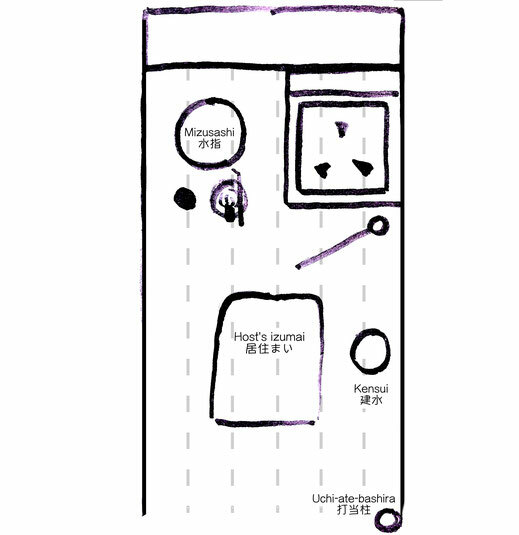 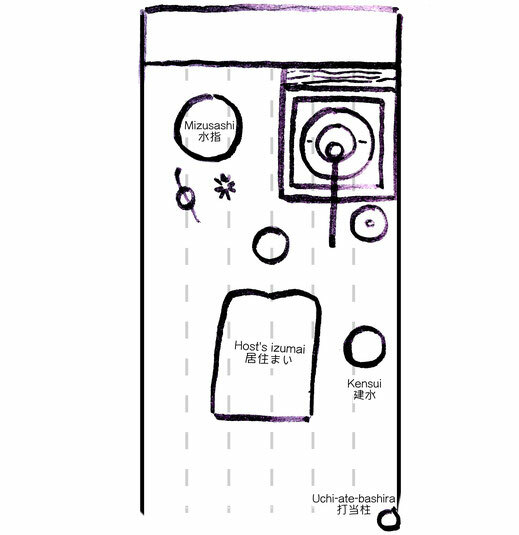 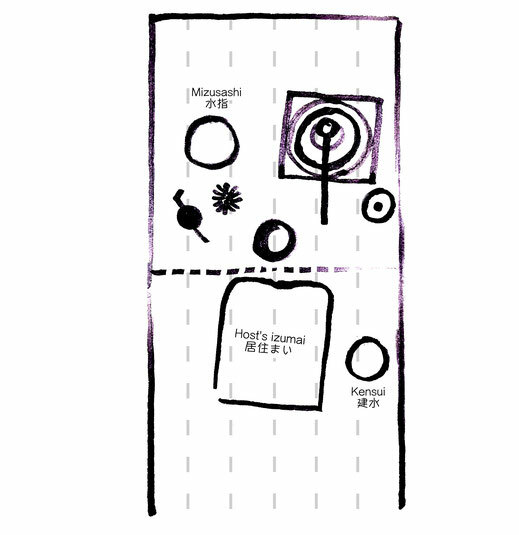 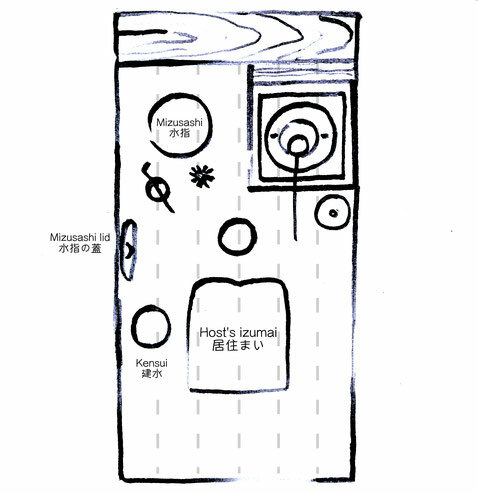 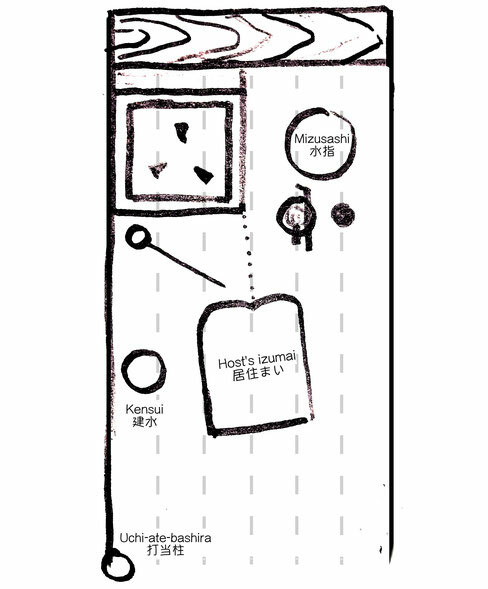 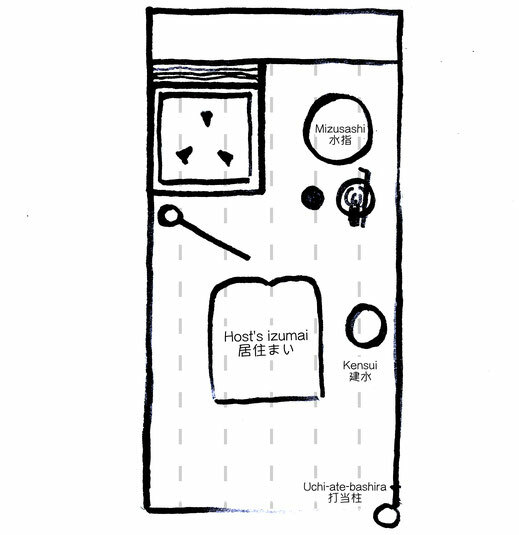 Formal ‘shin’ equipage is not used in a koma (small room under 4.5 tatami). 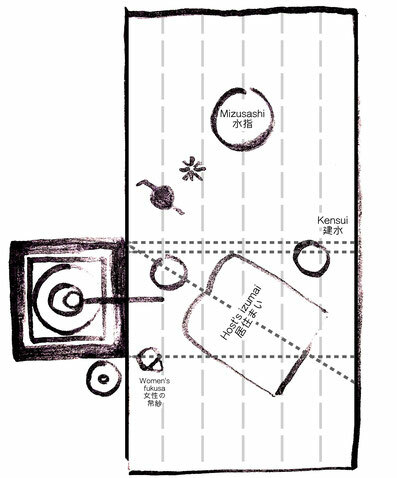 Examples of shin-grade equipage are shin te-oke water pail mizusashi, seiji (celedon porcelian), sometsuki ware, tenmoku tea chawan, etc.